MONTREAL, QC / ACCESSWIRE / October 12, 2018 / Top Rating SEO, an online marketing agency based in Montreal, QC announced an updated range of SEO solutions for local businesses looking to adapt their digital profiles to the latest Google algorithm developments. The agency works with a team of professional SEO experts to create custom local search engine optimization strategies adapted to the business profiles, target audiences and marketing goals of each client, ensuring sustainable long-term growth and higher overall marketing efficiency. With more than 95% of online users never going beyond first page results, implementing a successful SEO strategy has become crucial for modern businesses. 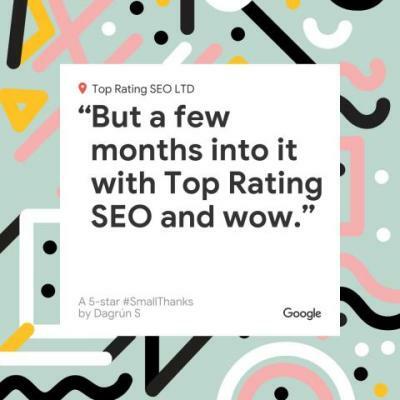 Top Rating SEO updated its Montreal SEO Expert solutions according to the recent Google algorithm changes, offering local businesses access to a diverse array of results-driven strategies. The company uses a proprietary approach to ensure higher organic ranking for Montreal businesses in all industries. Based on an extensive preliminary research, the agency's solutions aim to leverage all Google-compliant on-page and off-page SEO methods to bring the client’s website in front of a wide audience of potential customers. The company's constant investment in SEO and marketing research has resulted in impressive performance figures. Top Rating SEO reports that its clients see an average annual traffic growth of 352% and an overall ROI of at least 3 to 1. All strategies are developed in close collaboration with each client to ensure adequate brand representation and maximize local ranking chances. With the recent update Top Rating SEO continues to diversify its services according to the latest innovations in digital marketing, advertising and SEO. A spokesperson for the company said: "Top Rating SEO leverages a wealth of market analysis and testing results to create scientifically-driven SEO strategies. Our proprietary methodology combines the best of process, technology and people to deliver business-impacting results at breakneck speed. We're driven, intelligent, and hungry for your success in search engine results."